As I began to write my annual “best wines of 2017” article, it occurred to me that my usual format of summarizing the year into a buyer’s guide — while fun — was going to come up short. That’s because this was the year my site “got discovered,” which meant that along with all this new attention, I got invited to hit the road. And when that happens in the wine trade, your head explodes. In one year I went to Napa, Sonoma, Bordeaux, Champagne, Burgundy, Beaujolais, Mont Ventoux, Provence, Valtellina, Barolo, Barbaresco and Valpolicella, all of it for the purpose of pursuing wine and writing about it here on Opening a Bottle. In each of these places, I sampled exemplary wines from the barrel, or old vintages by the glass with a tasting pour. That might not sound unusual to you, but this site has always placed on onus on reviewing wines as full bottles served with a meal. Because wine transforms over an evening, I’ve always found that to be the true road test, and I’m sticking with it. 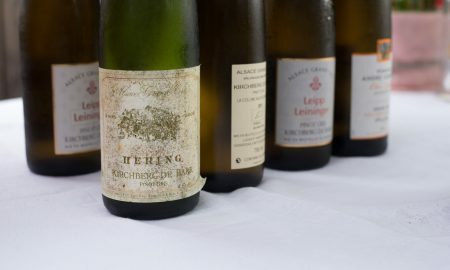 But given this fact, so many noteworthy wines — the one’s that rewired my understanding of wine with a single sip — could not be listed in the annual round-up. At least not in the way I have usually written it. Simultaneous to this chin-scratcher, I also realized that I would be remiss to leave out another kind of discovery: the truly extraordinary wine people I met in 2017. I could no longer separate a “look back” without including the insight of others. 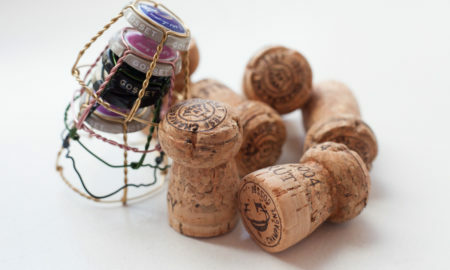 So I asked four wine-writer friends about their year: what single moment defined it? What lessons did you take away from it? It wasn’t surprising that their responses all had to do with the community that wine fosters, not the technical stuff we often get hung up on. I’m delighted that these four were willing to share their moments, too. Be sure to check out their writings and websites as well. Meg is an award-winning food, wine and culture writer who travels extensively to meet producers, hear their stories, and see first-hand what links them to their land. She has written for The Art of Eating, SOMM Journal, Tasting Panel, Serious Eats, Snooth, Palate Press, and more. Her website, Maker’s Table, is an engaging place to discover that next great bottle, or to learn about what cheese you should be eating with it (yes, Meg is an expert on cheese, too). You can follow her on twitter @megmaker. Here’s what she wanted to share. In 2017, I sabered my first bottle of sparkling wine. This is both embarrassing and gratifying. Embarrassing because I’ve spent ten years in the wine industry and have visited Champagne and Trento and many other places where sparkling wine is made. Gratifying because — boom! The location: a glamping site on the saddle of the Horse Heaven Hills. The assembled were fellow wine writers. The wine was Gruet Sauvage, an undosed traditional sparkler made in New Mexico and grown in, well — all over, including the Horse Heaven Hills (it’s appellated America). Our host served as dragoman. I was game. I was confident, without reasonable grounds. The saber was righteous. The bottle practically exploded. Sarah Tracy, now wine director at New York’s Rouge Tomate, captured it in slo-mo. I was sticky the rest of the night. It was a baptism, long overdue. 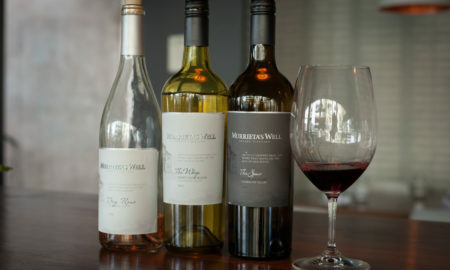 Read more about her Washington state experience in her report about the un-grafted vine project at Mercer Canyons — Own-Rooted: A Vine Stock Nursery Story — which earned her Third Prize in this year’s Born Digital Wine Awards. Jill is a food and wine writer and the founder of one of my favorite blogs, L’occasion. She is a Provence Wine Master from the Wine Scholar Guild, and her work has appeared in Forbes, USA Today, Vivino, Palate Press, and the American Winery Guide, among many others. Jill is also a fiction writer and novelist with short stories published in print anthologies, literary journals, on NPR, and Longform. As the year progressed, Jill started to show up in my notifications. Jill liked a tweet. Jill liked an Instagram post. Jill commented on a blog post. Every time this happened, I smiled. She’s a very gifted writer, and clearly knowledgeable about French wine, but in a way that shows genuine humility and curiosity, which I can relate to: a lifetime isn’t enough to fully understand France’s many layers, and Jill knows this (and loves France even more because of it!). 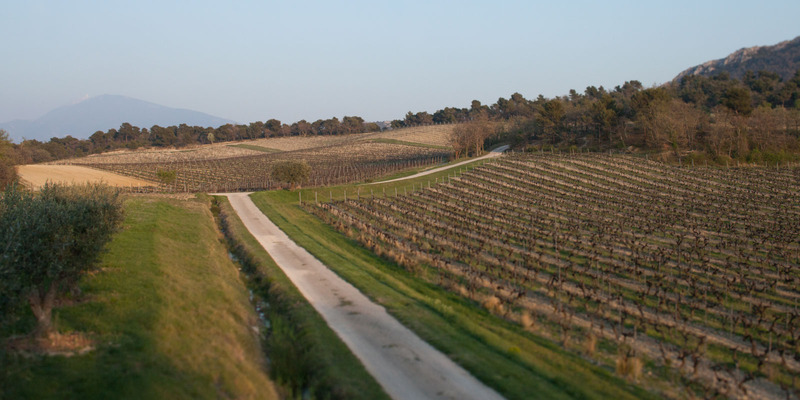 Earlier this year, I made my first visit to Southern France’s Languedoc region. I’d heard so much about the history of this wedge of France that shares a border with Spain, the Pyrenees Mountains and Le Med, as they call the Mediterranean Sea. Gruissan is a seaside village that’s home to Le Salin de Gruissan, a salt harvesting farm situated around low salt lakes along the coast. It was during lunch in this spot — with regionally sourced shellfish, AOP Languedoc rosé, a local darling of a host, and of course, salt sourced just a few feet from the table — that I felt I had a taste of what life in the Languedoc had to offer. If I hadn’t gone for the wine, I would have missed so much. The moment confirmed that wine is a communicator, a natural storyteller of place, people, and time. Read more about her journey to Gruissan and see photographs of this beautiful spot in the South of France. Brian is a regular wine and spirits columnist for Forbes.com. He has also contributed to John Mariani’s Virtual Gourmet, JancisRobinson.com and Wine Enthusiast Magazine, and he was also Editor-at-Large for Drink Me Magazine online. I got to know Brian on a press trip to Napa in late January, and, goddamn, I hope we get to do it again. 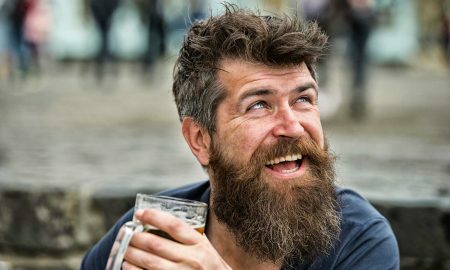 Quick to make everyone laugh and constantly self-affacing, Brian livened up every meal with his stories, enthusiasm, and occasional out-of-left-field notes about the wine. Before the trip, he had visited Oregon where he embarked on a truffle hunt. At the end of our time together, he walked up to the front desk at the Meadowood and — not unlike Flounder in Animal House — asked “may I have five pounds of butter, please?” The next morning, each of us had our own tub of homemade truffle butter to take home, a memento of the Brian Freedman Experience. Narrowing down which one specific experience defined the year for me is just not possible — it’s the old how-can-you-pick-a-favorite-child question: Of course you can’t. But there was this one bottle of three-euro Provencal rosé that I still can’t get out of my mind. Every two or three years — once I’ve saved up enough frequent-flyer miles to make the trip affordable — my wife and kids and I rent a house somewhere in Europe for a month or so. This past summer, we rented a house in Provence, right at the base of Mont Ventoux, for a month. And the fresh and friendly pink stuff from the local co-op — on sale in town, a quick six-minute drive away — was pretty much the liquid equivalent of everything I was hoping to get out of our time in La Belle France. Anyway, my parents came over to visit for the July 4th holiday, and I have vivid memories of one particular night. All six of us gathered outside on the terrace for aperitifs (pastis, of course) while I fired up the grill. We had Charles Trenet and the soundtrack to “Midnight in Paris” playing through the iPhone dock (cheesy as époisses, I know, and damn proud of it), and the sky was turning an increasingly vivid shade of pink and purple, and the heady, earthy-sweet aroma of sausages from our favorite butcher in town perfumed the air and mingled with the lavender growing in the pots on the patio, and my mother was mixing up the tomato salad in the kitchen, and my father and wife were reacting in horror to the T-shirt I insist on wearing every year for the 4th of July, the white tank-top with the red and blue piping and on which is emblazoned, across the chest, the word AMERICA; and our girls practicing the dance they were choreographing for the after-dinner entertainment. Eventually we sat down to our meal around the table outside, the breeze just barely kicking up, the grill cooling in the corner, the girls buzzing with excitement for their performance. We toasted to France, and to our own country’s birthday, and to the insane good fortune that we all had to be exactly right there at exactly that moment. We raised our glasses of three-euro co-op rosé. I think we killed two bottles that night but I can’t be sure. Life was pretty good. And the wine was perfect. 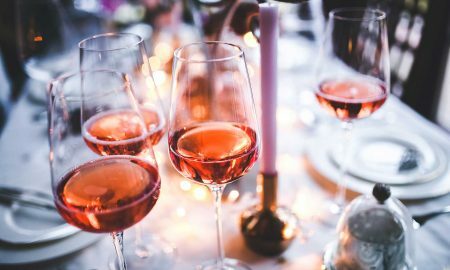 Read Brian’s thoughts on how Southern French Rosé has continued to be an exciting drink despite its commercial success. Jeff Burrows is the founder of the wine website FoodWineClick. 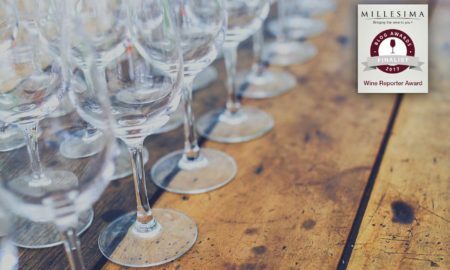 In 2017, he won the “Wine Reporter Award” in the annual Millesima Blog Awards, a category in which I was nominated as well. In fact, that’s how Jeff and I came to follow each other. By winning the prize, he earned a trip to Bordeaux for the En Primeur Week. I happened to go to Bordeaux right beforehand as part of a press trip, so we naturally followed each other on Instagram and gave each other pointers on where to go and what to drink next time. Ever since then, its been a back and forth of “ooh, look what bottle Jeff’s opening this weekend,” and vice versa. Like me, Jeff prefers to evaluate wine by the bottle with a meal. You can follow Jeff on twitter @foodwineclick. Here is his indelible memory. Domaine de la Bonne Tonne Morgon Côte du Py 2015 — still in barrel. In a single afternoon, my understanding of the sacrifices an artisan makes for their passion became clear. 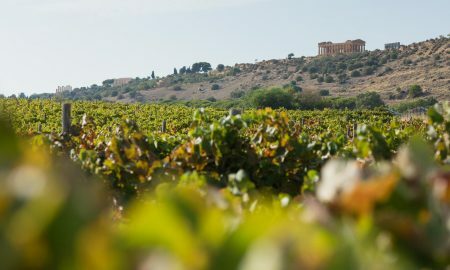 Commercially viable 13.5 hectares of grapes reduced to 4.5 hectares to allow the family to drop chemical use and embrace organic and biodynamic viticulture. The 2015 Côte du Py didn’t seem to be coming around in it’s normal time, so they decided to hold it in barrel another year. All for a wine that sells (in France) for about 15 Euros. 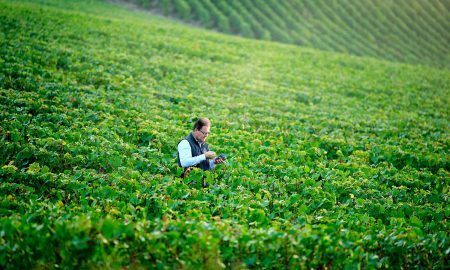 Read more about Jeff’s visit to Beaujolais. As for me, I’m kicking myself. Why did I think of this assignment in the first place? To whittle this densely-packed year down to one wine experience that is not only personally transformative, but that can be educational and exhilarating for my readers, too? It is tempting to mention the Macedonian lunch I had with Luca and Elena Currado, which was prepared by their team at Vietti to celebrate the completion of harvest. That moment — which I’ve captured in a story I’ll publish next week — more than made up for the fact that this year’s vintage came early and I missed my chance to photograph harvest. 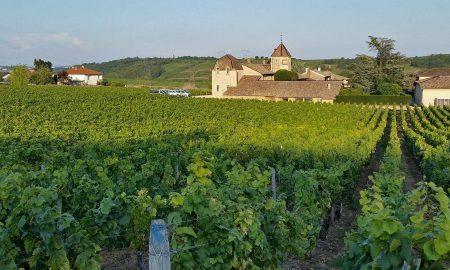 And it is even more tempting to brag about my visit to Domaine de la Romanée-Conti — the Sistine Chapel of wine — and how Meg and I got to taste barrel samples of the nascent 2016 vintage. Visiting this esteemed winery with a deliberately low profile just doesn’t happen, even for many industry pros who have put in many more hours than me. The wines of ARPEPE. Every one of them is different, despite coming from the same grape. And every one of them earned my highest rating. ©Kevin Day/Opening a Bottle. 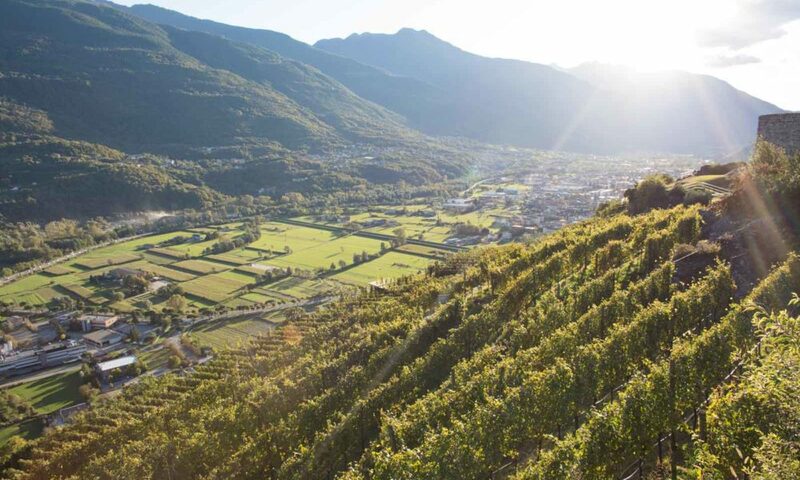 But if there is one experience that I want my readers to know about over all others, it is to visit Valtellina and to drink the wines of ARPEPE. This secluded enclave in northern Lombardy — about 90 minutes north of Milan — needs to be on every wine lover’s radar. It is scenically beautiful, culturally rich, and eager for outsiders to come visit. 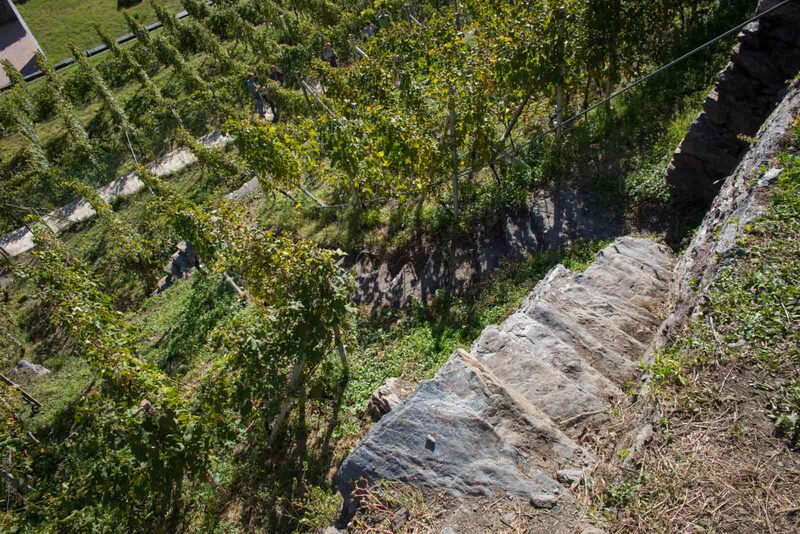 On the south-facing slopes of the Alps, more than 2,500 kilometers of ancient stone walls terrace the land so that Nebbiolo grapes — known locally as Chiavennasca — can grow. Based on labor alone, these wines shouldn’t exist, but thank God they do, especially the ones from ARPEPE. 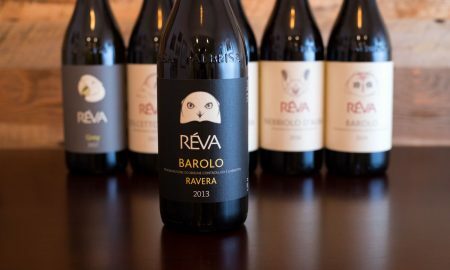 If you are thinking of Barolo, think again. Yes, these wines are intensely aromatic, but they are gentler, more seductive and captivating in their elusiveness. 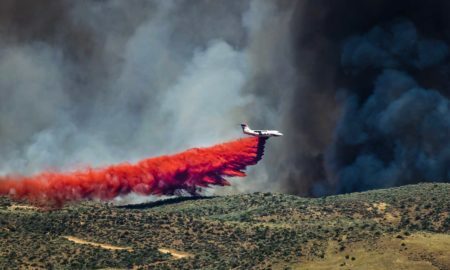 I found their aromas to be redolent of nature at its most vital (imagine a forest after a rainstorm, a breeze of alpine air, the tinge of earthiness next to a stream). 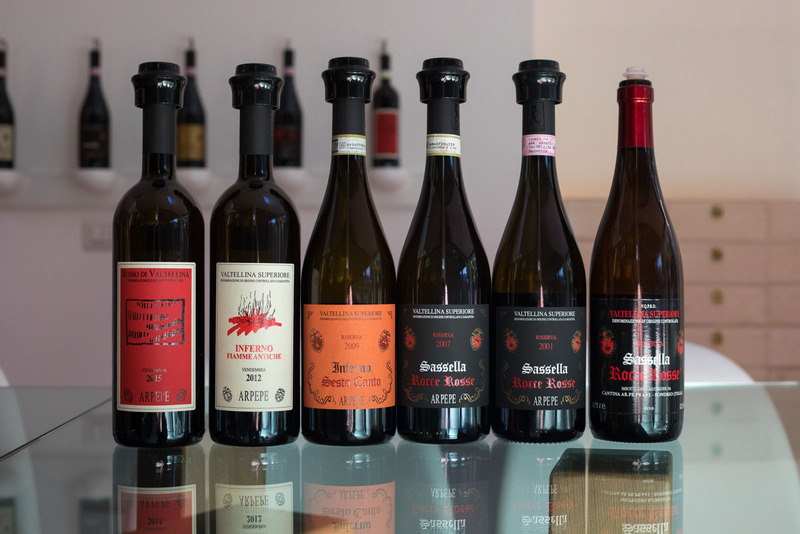 Each ARPEPE wine is staggeringly expressive and complex in their beauty, with just a few elements to differentiate them from one bottling (e.g. Inferno Sesto Canto) to the next (e.g. Sassella Rocce Rosse). ARPEPE is also the only wine I bought a case of this year. The region could use a little more attention, too. 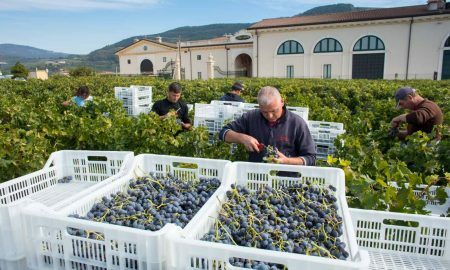 Vineyards are being abandoned because they are too difficult to maintain, and the younger generations are seeking opportunity elsewhere. 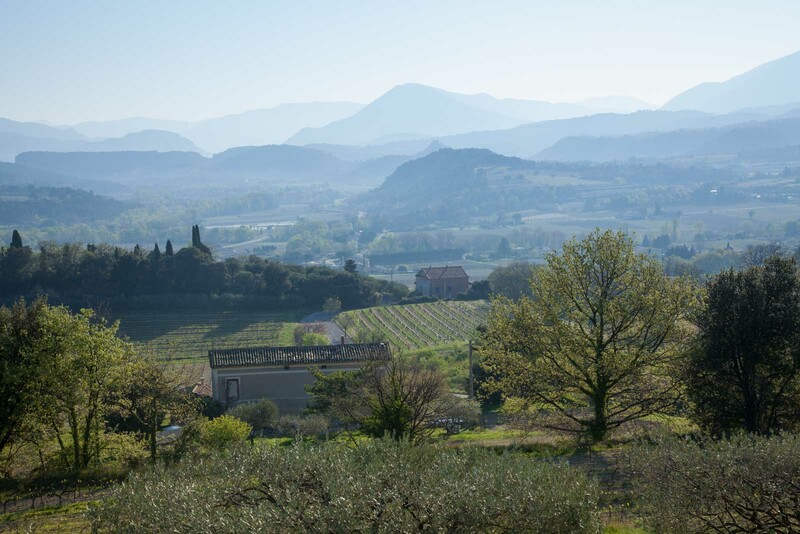 But Isabella Pelizzatti Perego — the dynamic and spiritful enologist at ARPEPE — is leading a new wave and she is rallying her community to make sure they stem this tide. 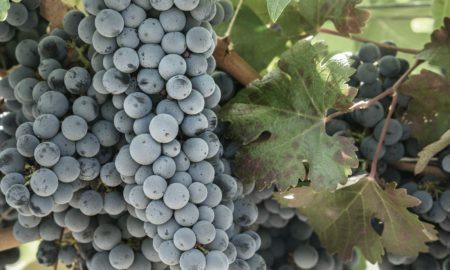 We can help them out, and enjoy some incredible Nebbiolo wines in the process. Thanks for including me with such an accomplished group of writers, Kevin. I know Jill, I follow Meg, but I was unaware of Brian, so now he has a new follower. Perhaps we’ll all meet in person sometime. What an enchanting article, filled with great moments. Thanks so much for sharing your story as well as the stories of these other amazing writers.